Biofuels are fuels produced directly or indirectly from organic material like plants, biowaste or animal waste. The use of biofuels predates that of hydrocarbon fuels (even Rudolf Diesel’s first engine prototype used peanut shells for fuel!) but traditional fuel types gained popularity as they were more effective, from both an energy and cost perspective. Biofuels have been reintroduced in an effort to combat climate change and other environmental issues, as well as provide additional energy and power supply to meet a growing energy demand and energy deficit. The origin of biofuels varies and depends largely on the type of production procedure used to create the fuel. Currently, there are four generations of biofuel manufacturing procedures and each one uses a different type of organic material. First-generation biofuels are currently the most widely used biofuels and are obtained from energy crops like sugar, maize, and corn. Energy crops are crops grown solely for the purpose of creating biofuels. Third-generation biofuels are extracted from algae. Fourth-generation biofuels comprise those which are obtained from non-arable farming land. Non-arable farming land is land which is unsuitable for agricultural farming, and is considered so for a number of reasons, such as that the land used is located in an unfavourable climate, or that there are no adequate water sources nearby. Many different types of biofuels exist, given the various methods available to create them, but three types in particular are currently used the most around the world: ethanol, biodiesel and solid biomass fuels. Ethanol: a biologically produced alcohol, ethanol is created through the fermentation of sugars or starches derived from wheat, corn, sugar cane, molasses and any sugar/starch from which alcoholic beverages like whiskey can be made. Ethanol is a popular solution used to increase a traditional fuel’s octane rating, and to reduce carbon emissions. Biodiesel: this biofuel is produced using oils or fats through transesterification, derived from animal fats, soy, palm oil, hemp and more. It is commonly mixed with regular diesel and can run in any diesel engine but poses concerns as it becomes more viscous at lower temperatures. Solid biomass fuels: this fuel type is often used in developing countries for heating and cooking, and includes wood, charcoal and agricultural waste. It is burned to provide energy or heat in its original state but can be compressed to provide denser biomass for use. Other biofuels available include biogas, syngas, various types of bioalcohols, green diesel, straight vegetable oil, and bioethers. The use of biofuels as a supposedly green alternative has gained popularity across many industries – many sugar production companies use biodiesel to fuel their boilers, several power plants across the Caribbean use biofuels to generate electricity, public transport vehicles like busses are often fuelled with biodiesel, and even the motorsport industry has employed the use of ‘greener’ fuels. Boilers and furnaces around the world are being adapted or manufactured with the use of biofuels in mind. 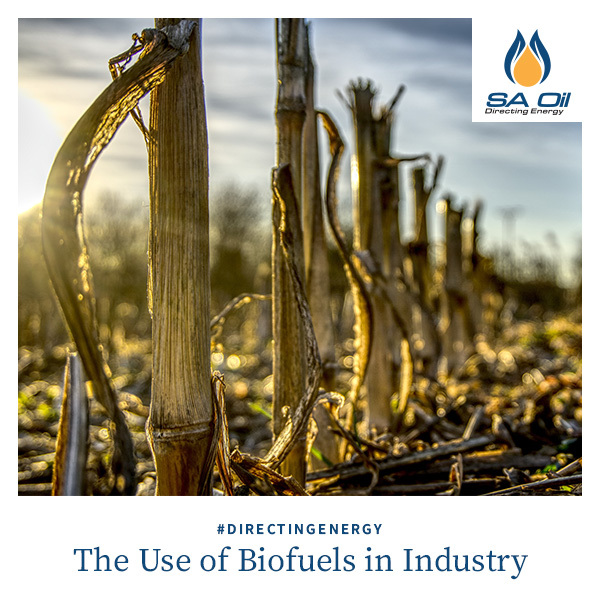 Existing boilers and furnaces in use have to be adapted and modified to be able to burn biofuels effectively, though the burning of biomasses like wood pellets, woodchips and even sunflower seed husks does diminish the need for alteration somewhat. Furnaces operating with traditional oil types can use a biodiesel replacement, and some homeowners are even using biodiesel in furnaces to heat their houses. The initiative has gained popularity as, significantly more so in the case of burning biomasses, it reduces your carbon footprint. However, density, longevity and output are some concerns that have arisen, as biofuels don’t create the same heat and energy as traditional fuels types, and considerably more of it is needed to produce the same outcome as when using traditional fuels. Greener efforts are also being made by the motorsport industry. Some motorsport teams are replacing traditional fuels with biofuels, like using biodiesel in diesel engines, or mixing ethanol with gasoline to lower emissions. Many motor brands are even changing their engines to enable the use of biofuels, like Formula 1. The shortfall here is mileage – while the fuels are greener, more of it is needed to travel the same distances than when using pure gasoline. The global race to a greener world has seen industries of all types make great efforts to implement greener strategies and use more eco-friendly hardware or machinery, and biofuels play a major part in that. However, many don’t consider the consequences of biofuels. In order to produce biofuels (excluding biomasses, which are often waste products), thousands of acres of land have to be claimed in order to grow the crops used to produce the ‘green’ fuel. The result often sees vast amounts of deforestation, which has several devastating knock-on effects: the loss of natural habitats and ecosystems, and entire species of wildlife can go extinct. To date, approximately 20% of the Amazonian rainforest has been destroyed due to deforestation caused by the growing of biofuels. Energy crops like maize and corn also cause a loss of agricultural farming land, effecting the production and supply of food to the population. It has also been argued that the creation process of biofuels causes more carbon emissions than the fuel saves. This is largely because the extreme amount of deforestation caused by the growing of biofuels eliminates the trees that help consume the carbon dioxide (CO₂) emitted into the air. More trees are cut down than CO₂ emissions saved by using biofuels and bioenergy! While implementing greener strategies and fuels in your operation is a worthy cause, careful consideration must be made when assessing its effects on production, efficiency and outcome – and even the environment. Traditional fuels like diesel and HFO have longstanding benefits in industry, such as greater efficiency and lower maintenance costs. Get the right fuel for your operation – speak to the experts.